Lighting is one of the most underestimated elements in interior design. If you have a gorgeous design but do not have the proper lighting, the space falls flat. 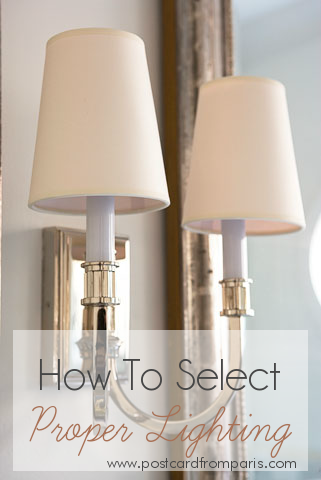 When it comes to selecting lighting, there are endless options. From floor lamps to table lamps, chandeliers to sconces, deciding what type of lighting will work best for your home and your individual spaces can be daunting. Today, we are sharing some tips and suggestions on the best lighting plan and how to select proper lighting for your home. The lighting you choose in your home should flow effortlessly with your home's design. So effortlessly, that it often goes unnoticed - but in the best way possible. The best way to achieve this undetectable lighting scheme is through a layered lighting plan. A layered lighting plan involves using multiple types of lighting to achieve a harmonious lighting scheme for ambient, task, and decorative lighting. Let's first start by breaking down the difference between these three types of lighting. Ambient lighting is the overall lighting of a space. 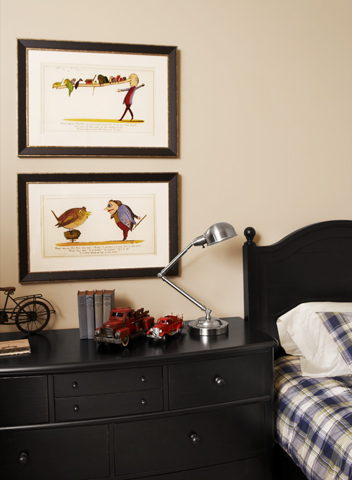 It sets the tone for the room, whether it be dark and cozy or bright and cheerful. Ambient lights can range from recessed cans to track lighting to specialty lighting. It's important to select the proper lighting in order to create the type of ambiance you are looking to achieve in your home. Task lighting is the lighting needed to perform certain tasks. This could include a desk lamp for reading, undercounter lighting in a kitchen for food preparation, or sconces in a bathroom for make-up application. Decorative lighting, as you may have guessed, is any decorative fixture such as a chandelier or pendant that can add an interesting element to the room. Decorative lighting can also double as task lighting as well, like bathroom sconces. When trying to decide what type of lighting to use, it's important to consider the overall look and feel you are trying to acheive for a particular space as well as the function the room serves. For example, let's start with the kitchen. Pendants are an effective option to use over a kitchen island. Not only do they create a focal point, but they also provide additional lighting needed above this space that is typically used for cooking or eating. With this option, pendants are serving both as decorative and task lighting. If you want to highlight a specific object or feature of your home, track lighting can accomplish this. If you have a favorite painting in your home or want to show off your mantel, install track lighting to highlight these areas. The proper track lighting can serve both as ambient and task lighting. While it is not mandatory that you use one type of lighting versus another, it simplifies things if you do combine form and function (i.e. pendant task lighting over a kitchen island). Choosing several different types of lighting in one space is the best way to achieve harmony and create a polished space. Creating a functional lighting plan should be the ultimate goal, but you shouldn't forget about using decorative fixtures simply for the way they look and how they can add to the overall interior design of your home. Now that you have a lighting plan and have learned how to layer your home with various types of lighting, it's time to make your selections. Download these four tips from our designers on what types of fixtures work best for certain spaces and how to make sure you select lighting that is the right size and shape for your spaces.